It measures 35 feet. Equipped with all safety regulations. It has: Radio communications, Sonar, GPS, Stereo, Autregeer, Dawregeer, Lifejackets, Nursery, Fighting chair, Integrated icemaker. It has two Suzuki 90 hp four stroke engines. It measures 32 feet and has a 200 hp Yamaha four stroke engine. Well equipped with all navigation rules. It has the different equipment: Radio communications, GPS, Sonar, Autregeer, Nursery for live baits, Stereo, Integrated icemaker, Life jackets. 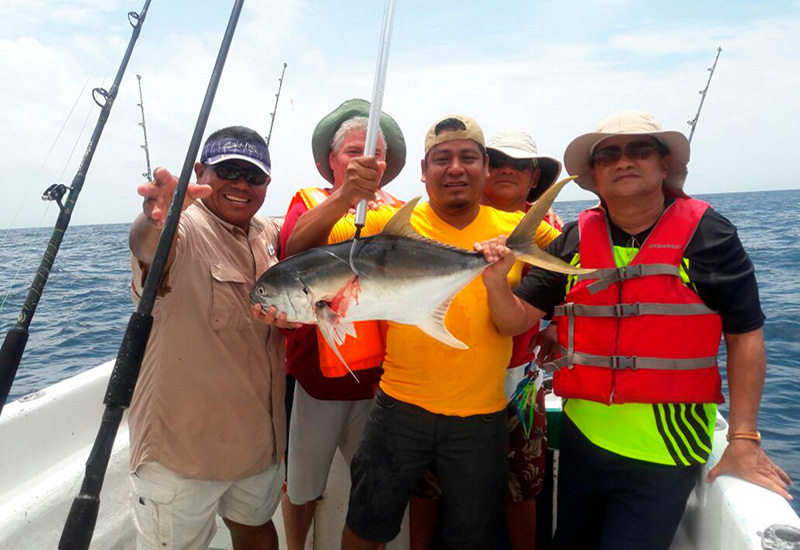 Our captains and the crew themselves, are experienced men in sport fishing, know the best fishing grounds and the best places to fish in the sea. 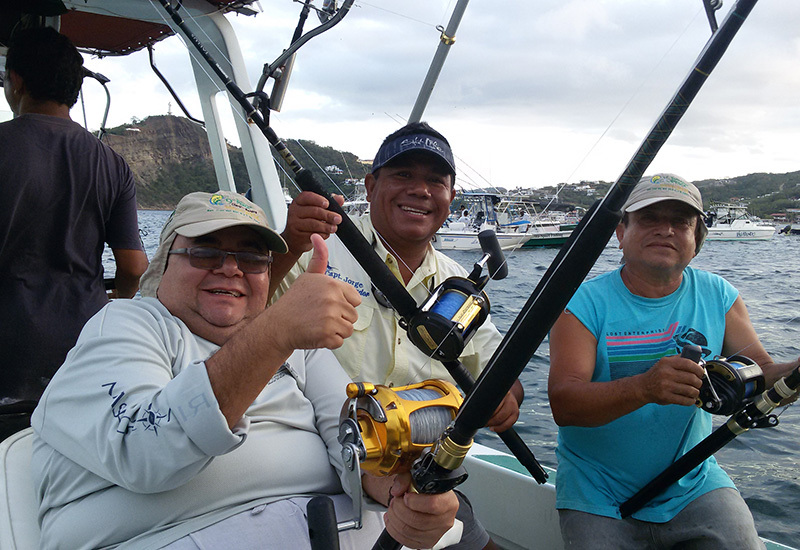 We have excellent fishing equipment Trolling International and ShimanoPenn rods, Penn and Shimano Spinning, we have the best artificial lures, cheaters, diversity in styles and colors, depth and surface sizes, for goldfish, sailfish, marlin, tuna, guahoo, horse mackerel, Mackerel, roosterfish, group, snapper among others. 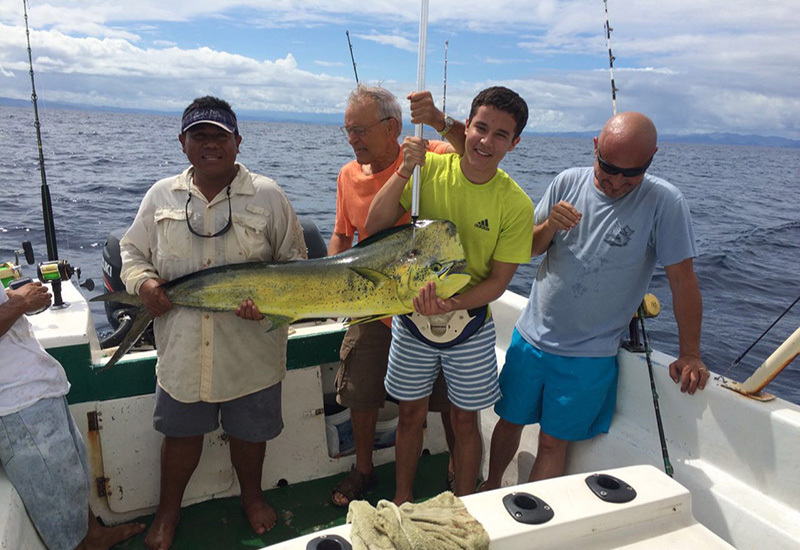 5 hours of sport fishing and 1 complimentary hour of beach and sun. 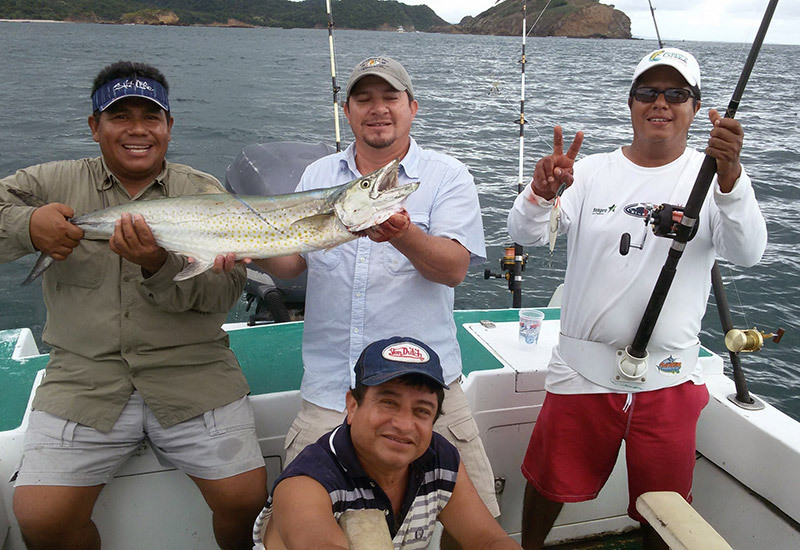 Maximum allowed: 6 fishermen per charter. 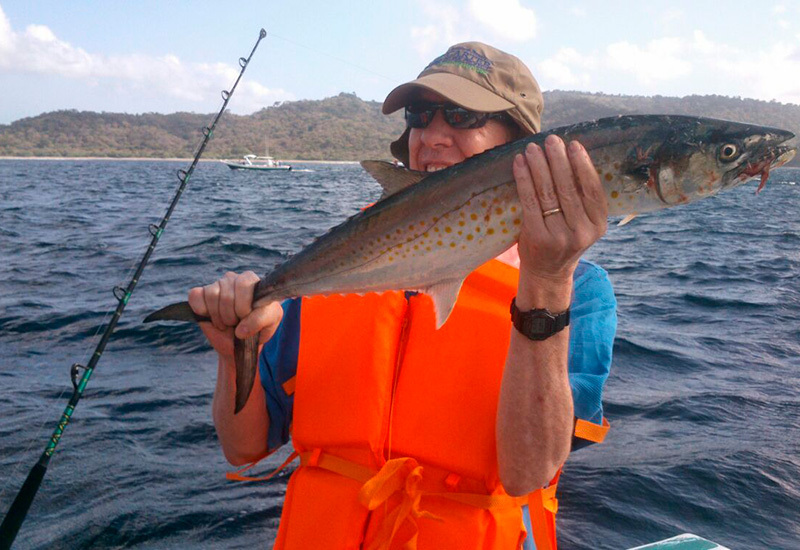 Our half-day charter includes sandwiches, sodas, beers, purified water, snacks and juices for all the participants and allthe professional equipment for fishing. 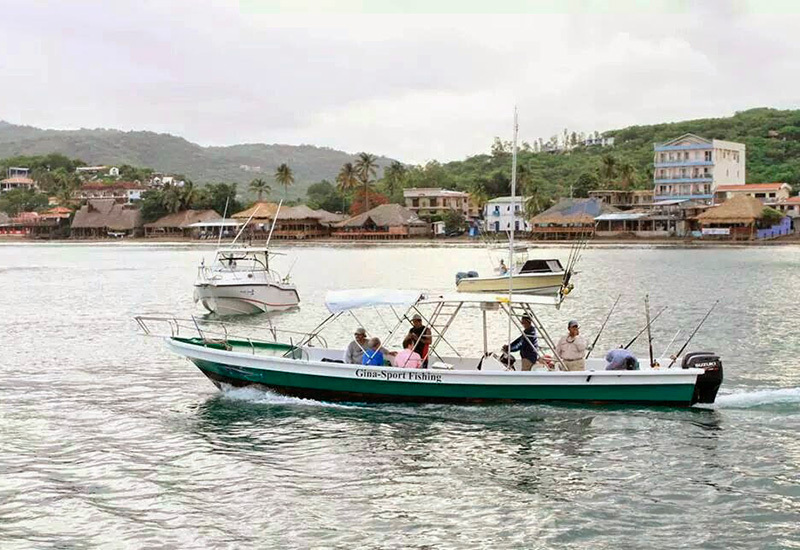 All the captured fishesbelong to the fishermen and are hand to them already clean so you can organize your lunch or dinner.In our boats you will always have ice, so you can combine your drinks and your fish will always remain fresh. We have service transport from airport to hotel and hotel to airport with attractive rates for all, and the shuttle service in the urban area of san Juan del Sur is completely free ie we will bring it and we will leave it at your hotel, house or apartment. 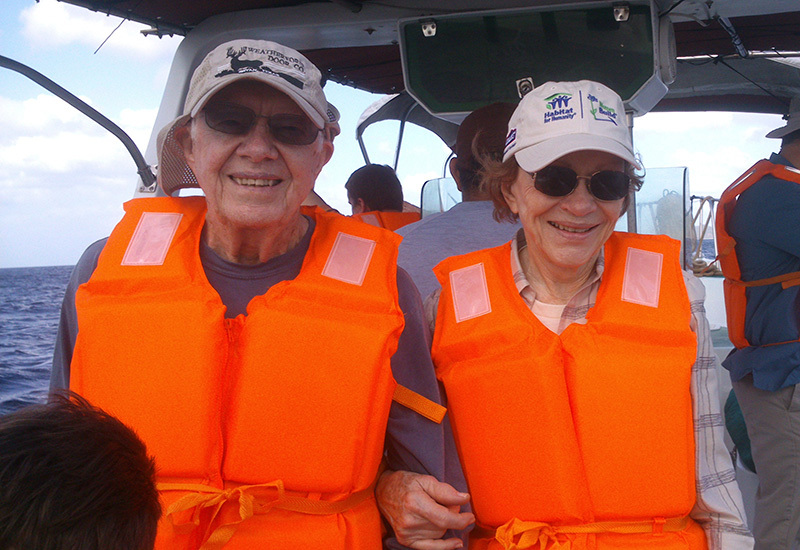 Our full day charter includes fruits, sandwiches, sodas, beers, rum, snacks, purified water and lunch on board (chicken, pork, beef skewers, Quezada, chorizo, tortillas and others). 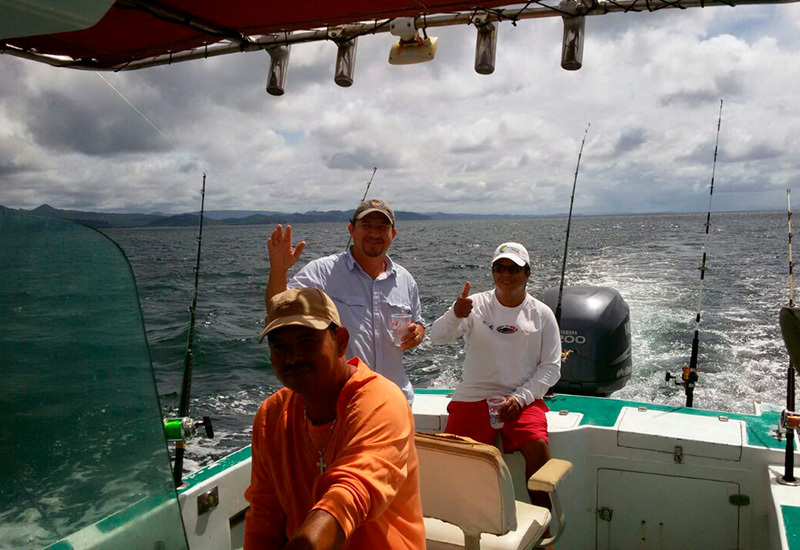 For this kind of charter, we have a professional fishing equipment to ensure a good capture of fishesand you will always find ice and glasses on board to enjoy a delicious Flor de Cañadrinkand beers are always cold because we’ll always have enough ice to cool your drinks and all the fish caught. All the captured fishesbelong to the fishermen! All the captured fishesbelong to the fishermen and are hand to them already clean so you can organize your lunch or dinner.